Sunset Beach is a little piece of heaven tucked away in the midst of boat-bustling False Creek and busy bridges that cross over it. 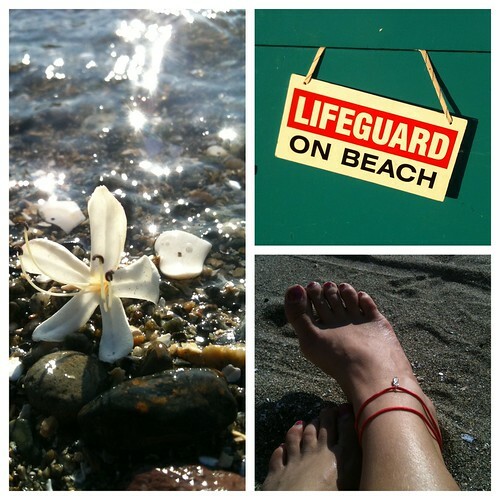 Sunset Beach is that happy place where time stops and the only things that matter are the tides, the currents, and basking in the gentle evening sun. You can spend the day there or just bring a hectic workday to a serene close with a beachside walk or a leisurely picnic. Fragrant Harlequin glorybower and Robinia embellish its borders, and in midsummer you'll find musky wild blackberries and hot-pink everlasting peas along the shoreline. And if you're particularly lucky - you'll find yourself swimming alongside a playful harbour seal! Sunset Beach can be anywhere... Mine just happened to be in Vancouver. I invite you to uncork a bottle of this daydream and experience a truly creamy sandalwood perfume complemented by handcrafted tinctures of pandan leaf and milky oolong tea, coconut, massoia bark and dreamy champaca. 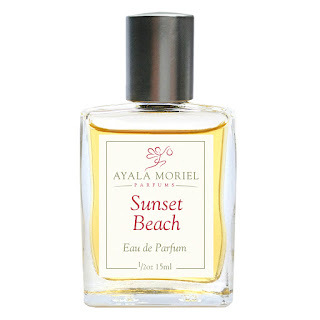 Sunset Beach is the second perfume in "Perfume for a Place" series, dedicated to Ayala's favourite places in Vancouver. Available in: Eau de Parfum only, in the following sizes: 1mL sample ($18), 4mL mini ($48), 5mL roll-on ($69) and 15mL splash/spray ($120). Is this fragrance a Unisex Fragrance? This seems like a great product, but I don't think I can step away from Fahrenheit by Christian Dior. A long time favorite. I did find an inexpensive way to buy it recently at perfumora.com. Google has been my thrifty fragrance finder for years and now I know where to look. Thanks for this article! I look forward to your next review!